Our governance structure consists of the Governing Board, Advisory Board, Coordinators and Secretariat. The governance bodies have distinct and complementary goals and responsibilities. We believe close cooperation with stakeholders is important for delivery of high quality capacity development program. 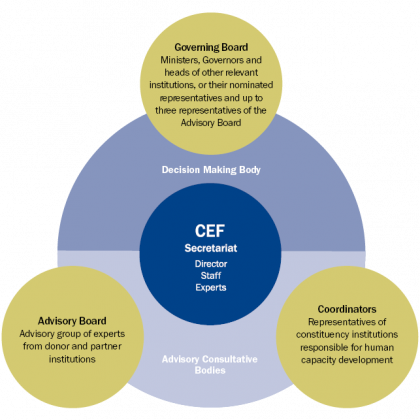 Governing Board is a decision making body of the CEF. It confirms the CEF annual report and financial statements, reviews the progress made and other relevant issues. Members of the Board comprise ministers of finance and governors of central banks from the CEF members (Albania, Bulgaria, North Macedonia, Moldova, Montenegro, Romania and Slovenia). Members of the Board are also 3 representatives of the Advisory Board. Observers of the Board are ministers of finance and governors of central banks from the countries that signed or were invited to accede but have not yet ratified the Agreement. The Board is currently chaired by Vladimir Munteanu, First Deputy Governor of the National Bank of Moldova. 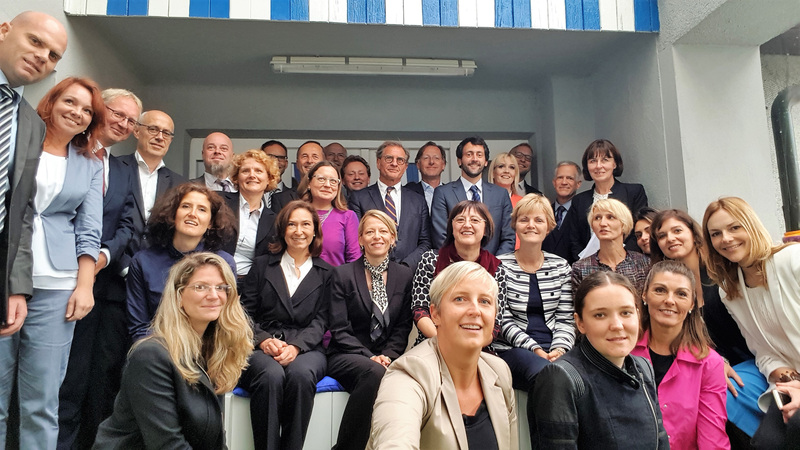 The annual meeting of the CEF Governing Board took place on May 9, 2018. Advisory Board is an advisory group of experts from our donors and partners. It assists in designing and in coordinating the delivery of activities of the CEF. Up to three representatives of the Advisory Board are members of the Governing Board. The Advisory Board meets annually. The chair of the Advisory Board is Sabina R. Stadler from the Slovenian Ministry of Foreign Affairs. CEF Coordinators and CEF Tax Coordinators are our constituency's regional representatives responsible for capacity development and are involved in the strategic management of human capital within their respective institutions. As human resources professionals they focus on strategic personnel retention and talent development. The Coordinators meet periodically to discuss our program for the upcoming year. They help us identify the capacity development priorities in the region and set the way forward. 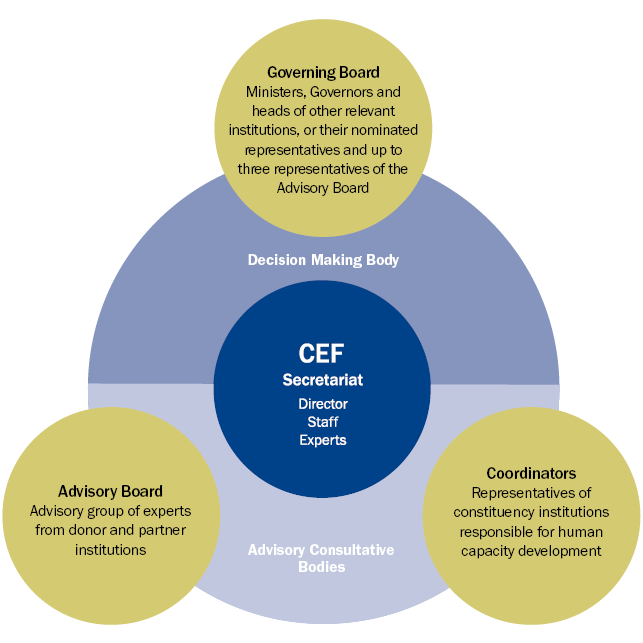 The CEF Secretariat comprises CEF director, staff and experts.